When lurking around on various blogs and forums, I see some degree of argument at times between those that like strong tactical maps (a la 4e D&D), versus those who prefer little or no tactical map usage (a la... not 4e D&D). I'm not picking on 4e here, but it has certainly become the poster child for tactical-first gameplay. As a game designer I was interested in some of the psychological background behind these different styles of play - and so I turned to some trusted sources. 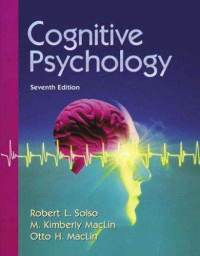 Like Cognitive Psychology, 7th edition. It knows what you are thinking. There is a profound difference in how we perceive with our eyes, versus without them. The eyes collect two-dimensional information and transmit it to the brain. They sense this light with about 132 million cones and rods. Those signals are sent to the visual cortex, which then contemplates and tries to make sense of all that 2-D stuff. According to John Medina in Brain Rules, there are about twelve tracks of information with, for instance, one track of information containing nothing but diagonal lines. The brain then gathers all this information together, looks for patterns, consults previous experiences, and a whole bunch of other things before making your consciousness aware of it's best guess as to what it all means for three-dimensional cognition. The brain is a pretty powerful gaming device. But think about all that stuff up there. Sure does represent a lot of computational power on things like combining tracks of shadows and diagonal lines and colors and edges and such. So it would make sense that all that effort can be used for something else when someone doesn't use their eyes to see things, right? Here's the surprising thing. Cognitive Psychology tells us that when you use your imagination, your visual cortex is actually more active. The brain isn't being stimulated by the signals from the eyes, but rather by your imagination. And the visual cortex works harder to make up the difference. This can result in more profound visualization than actually seeing something, as the brain will frequently make up extra data based upon previous experiences. 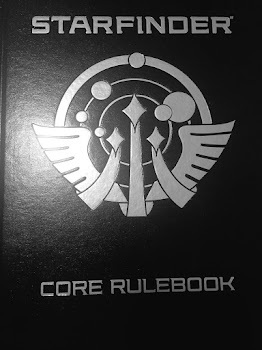 When GMing a game, the above information can be quite useful while leading players through a story. There are scenes where it is important that players see all the details and fully experience their characters' environment. Contrary to intuition, this is a not good time to sit down and draw something. The players will see a lot more detail with some guided imagination. They might not all see the exact same details, but they will experience the scene more profoundly, because their brains are working harder to complete it. However, seeing through the imagination is not as precise. When a GM needs precision, or just wants to establish more emotional distance between the players and their characters, then that GM is better off relying on the eyes. I haven't researched it, but I wouldn't be surprised if the difference between fans of one method or the other really came down to the left-brain's focus on precision (via tactical play), and the right-brain's focus on creativity (for imagination play). If that's even remotely true, then the most complete gaming experiences would probably combine both styles. There is benefit to both styles. I always preferred drawing out the dungeons in D&D play (pre-4e), but did feel there was a need for maps city or country travel. I would also state that when no map is present, the brain envisions the scenario in similar fashion to book reading. Therefore, I would counter with what is better for you (he who asks this question), a book or a movie? Being more of a role-player than a hack and slasher, I want to envision the world and scenario in my own way. ONly when trapped within a confined space in which tactical placements might be extremely critical for combat and tap scenarios did I ever find the maps extremely useful. Conversely, as a GM I alsway found having a pre-generated map helped to direct the game and gamers. It is hard to "wing it" as a GM. The second sentence confuses me, did you mean that you prefer not drawing out the dungeons? The book vs movie analogy is interesting. Although, we should remember that movies sometimes lie, mislead, or obfuscate to encourage a desired effect. Examples might include altered physics (objects fall slow, people jump high, explosions are huge, etc), and also rapid cuts (switching camera angles back and forth rapidly to imply something that isn't actually happening). That might be sort of like drawing a 10 x 10 foot room when the room actually measures 10 x 12. It's a deliberate lie to obfuscate a secret room.